MONTREAL -- A Canadian teenager who purchased her first lottery ticket to celebrate her 18th birthday hit the jackpot and will receive $1,000 Canadian a week for the rest of her life. 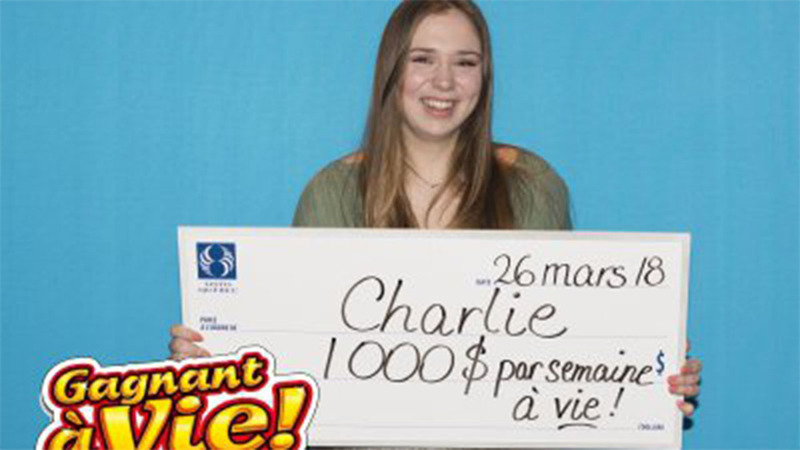 Charlie Lagarde was celebrating with a bottle of champagne and a $4 scratch-off ticket earlier this month when she hit the grand prize in the Gagnant a Vie lottery. The prize would be worth just over $775 per week in American dollars. She was joined by family and friends when she collected the first payment on Monday. She told lottery officials that she hopes to study photography.